Q3, September 30th Quiz, (Click Here): Regarding the Tsutsugamushi Triangle – Answer does not change. The triangle is not a perfect geometrical triangle. It refers to the geographical space which looks like a triangle when mapped. If the words ‘Northern Japan’ were replaced with ‘Far Eastern Russia’, then too the statement would be correct. Additionally, if a similar statement appears in UPSC, they won’t be testing your rote knowledge or the technicality – they’ll essentially check whether you have an idea of it or not. That is, they are likely to give the statement in the same form as we have, or in the following forms: ‘the disease is endemic to India’, or, ‘the disease is endemic to South East Asia’ and so on – you then would know definitely whether the statement is correct or not. 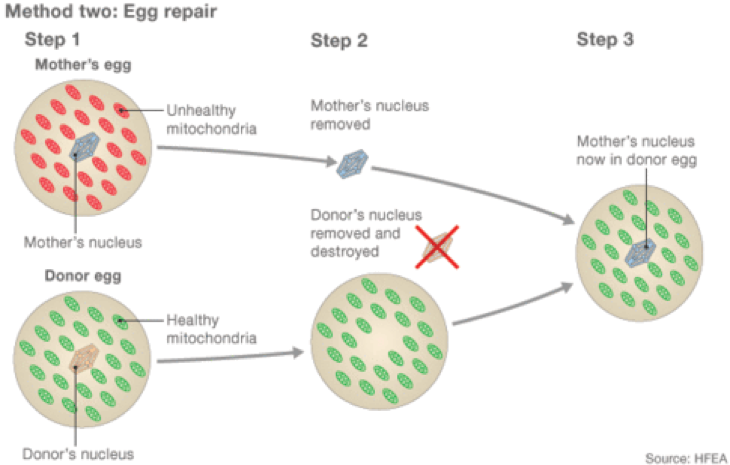 To be read along with the image: 1) Eggs from a mother with damaged mitochondria and a donor with healthy mitochondria are collected 2) The majority of the genetic material is removed from both eggs 3) The mother’s genetic material is inserted into the donor egg, which can be fertilised by sperm. In the cities of our country, which among the following atmospheric gases are normally considered in calculating the value of Air Quality Index? The Air Quality Index doesn’t include carbon dioxide and methane. Which nations from the following list – comprising of members of SAARC – are also members of the Bay of Bengal Initiative for Multi-Sectoral Technical and Economic Cooperation (BIMSTEC)? Which of the following nations are party to the Chabahar Agreement? It is only by a Constitutional Amendment that the power to issue writs can be extended to any court other than the Supreme Court and High Courts. A High Court may refuse to exercise its writ jurisdiction, whereas the Supreme Court may not. No constitutional amendment is required. The Parliament, under Article 32, can empower any other court to issue writs. But no such provision has been made by the Parliament so far. The idea of Satyagraha meant which of the following? Emphasis on the power of truth. The need to search for truth. If the cause was true, and the fight was against injustice, then physical force was not necessary to fight the oppressor. Next story Insights Weekly Essay Challenges 2016 – Week 40: The weaker sections of Indian society – Are their Rights and Access to Justice Getting Better?